We’ll provide expert seasonal cleaning services that leave you feeling confident about the way your home looks and feels in Charlotte. There are certain times of year when you house just starts to feel like it isn’t the same. 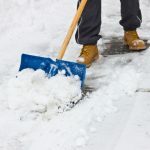 Whether it’s the slushy winter snow and ice that takes over your entryway or the spring pollen that collects on your windows and baseboards, it can be overwhelming trying to manage house cleaning and all of your other to-do list items. 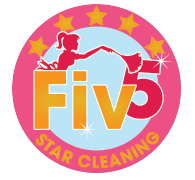 At Fiv5 Star Cleaning, we believe that keeping up with routine cleaning shouldn’t be a hassle, and we can take care of this task with our seasonal cleaning services, leaving you free to do other things. Having our professional team complete seasonal cleaning is wonderful for several reasons. 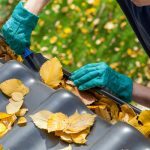 Not only can we give your home specialized attention during the peak of each season, but we can also tailor your seasonal cleaning services to your needs. We believe that every home is different, and that’s why we’ll never apply a “one-size-fits-all” approach to any of your cleaning services. We’ll offer a fair quote, discuss your seasonal cleaning needs, and provide expert services that leave you feeling confident about the way your home looks and feels. 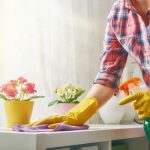 Seasonal cleaning with us at Fiv5 Star Cleaning is a great way to give your home an extra deep clean, knock any extra cleaning tasks off your to-do list, and enjoy your free time doing something you enjoy in the Charlotte, North Carolina area. The first step is simply to contact us at Fiv5 Star Cleaning to schedule an estimate, and then we’ll provide the seasonal cleaning solutions you need most. We look forward to adding you to our long list of satisfied customers! At Fiv5 Star Cleaning, we offer seasonal cleaning services in Charlotte, Concord, Cornelius, Gastonia, and Mooresville, North Carolina, as well as Rock Hill, South Carolina.